Description 1st ED. 312pp. many b/w illus. book & dj vg cond. 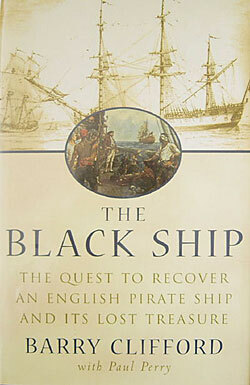 The quest to recover the English pirate ship Whydah and its treasure. It is a story of adventure, history and marine archaeology, and a dramatic quest that unfolds within the context of the "Golen Age" of piracy and the legand of a pirate "prince" from south west England.